Did you know 88% of customers say they trust online reviews as much as personal recommendations? Having customer reviews can be a great way to alleviate a new customer’s hesitations, and learn more about what your shoppers love about your business and what they expect. Not only do customers trust online reviews, they look for them. In fact 66% of customers say they generally read between 1-10 reviews before making a purchase, making them an important part of the online shopping experience. Customer reviews also encourage sales. 72% of consumers say that positive reviews make them trust a local business more, and 63% of customers are more likely to make a purchase from a site which has user reviews [iPerceptions, 2011]. FACT: Reviews produce an average 18% uplift in sales [Reevoo]. So having customer reviews sounds great, but how do you encourage them in the first place? Here’s some ideas to get you started. Email - It can be easy to overlook the importance of the post-purchase customer relationship, but this can be a great way of encouraging your customers to reflect on their shopping experience. Email is an incredibly effective tool for reaching out to your customers and asking for their feedback with personalized messaging. This can be a great way for gaining reviews about specific products and overall experience reviews. You can use tools like MailChimp and Campaign Monitor to send out a friendly automated emails asking for a review. Or how about sending an automated Thank You offer using Collect Automation? eCommerce store - Enabling reviews on your eCommerce store is a great way of encouraging your customers to review your products and service after they've bought something online with you. 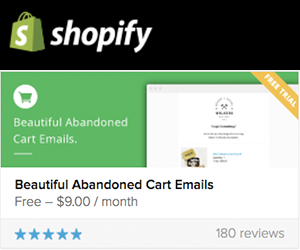 Shopify and Bigcommerce both have review plugins which can be installed easily on your eCommerce store, making this process simple. Surveys - Hosting a survey on your website, by email, or on social media is a great way of inviting your customers to participate and share their experiences with your business. 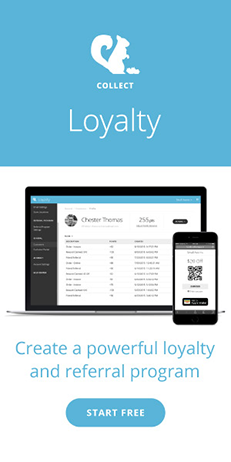 It’s a great way of learning more about your customers and letting them know you appreciate them. Offering them a discount or reward for taking part is a nice way to encourage participation. AskNicely is a helpful tool which sends out email surveys and helps you gather data in real time. Send out products - If you want to generate more interest around your products and get more review reach, try sending out your products to a blogger, Instagram savy poster, or journalist and ask for a feature review. This can be an effective way of giving your product the attention it deserves! Social Media - Make sure your encourage social media reviews on your Facebook page and other social pages. It’s easy to enable reviews on your Facebook page, see their guide here. Google Places - Having a profile on Google Places is a simple and free way to get your business on the digital map. Google Places provides a profile of your business - including store hours, location, and a star rating where your customers can review their experiences and interaction with your business. And because it's a Google product, it improves your search results ranking too. Zomato - Zomato provide a newsfeed of the latest reviews in your area. You can sort categories such as ‘nightlife’, ‘breakfast’, or ‘cheap eats’ and they populate with the locations, ratings, approximate costs, and menus. If you own a cafe or restaurant, Zomato is a great place to get your business noticed and build your reputation. Yelp - Yelp offers consumers the chance to rate and review their favorite local businesses. They provide a profile of businesses and their location. And also enable business check-ins. Incentivizing Yelp reviews can be a great way to get your customers sharing your business. Having your reviews displayed clearly, not only helps your customers during the buying process, it also encourages more customers to review your products. Facebook is a good place to both invite your customers to review their experiences and display customer reviews, encouraging social engagement with your page. Your website is another great place to display reviews on your products to encourage more purchases and feedback. 57% of customers also prefer to visit eCommerce sites that offer product reviews [PowerReviews]. TIP: Placeable Research found through a survey of 1,000 consumers, 71% are less likely to go to a restaurant if its website was missing critical information such as location, hours, phone number, and reviews. So it’s essential to make sure your business is up-to-date with this information! h my goodness! You're so right! I really don't think anyone's put it that way before! You must be an expert on this because you just made it so easy to understand.